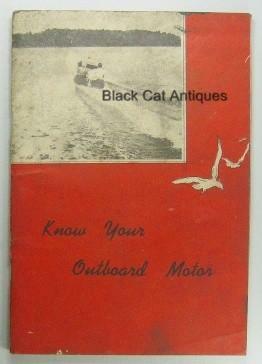 Up for sale, we are offering an original, Outboard Marine & Manufacturing Company, Evinrude and Johnson outboard motor Owner's Manual. This is a used manual from a local marine and small motor business with valuable outboard information and great vintage illustrations. Condition: This manual is used, soiled and discolored as expected for it's age, however it is easily readable and useable. Please enlarge the photos to determine the condition of the guide. Size: The manual measures approximately 7.5" long by 5.25" wide.